This guide explains how to create an account, search the catalog,and how to renew and request items. 1. Access the Library homepage. 2. Click on the Catalogs tab under the Easy Search box. 3. Select U of I Catalog (the first entry). 4. Type your search into the box at the top of the screen. 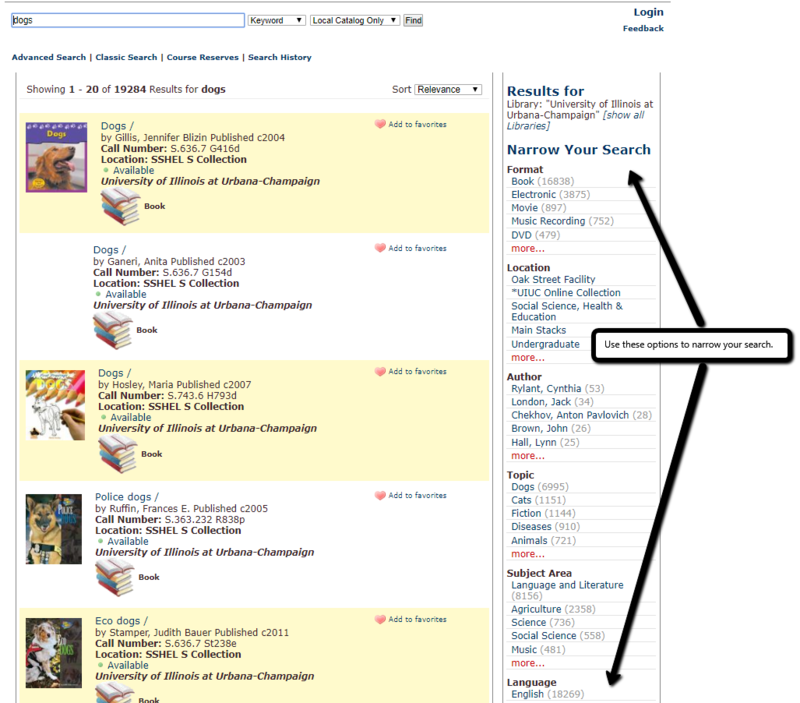 Once you start your search, the library catalog gives you options to filter your results under "Narrow Search." You can narrow by location, format, author, topic, language, genre, era, region, and year of publication. You can also exclude eResources, electronic, and microfilm. When you click on an option you are taken to a new results page.